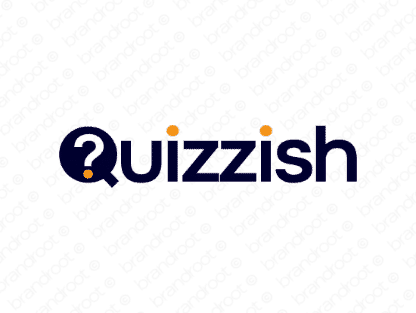 Brand quizzish is for sale on Brandroot.com! A delightfully clever play on the word "quiz". Quizzish delivers a bright and intelligent character with strong potential for a wide variety education and learning centered services. You will have full ownership and rights to Quizzish.com. One of our professional Brandroot representatives will contact you and walk you through the entire transfer process.